Autocrossing: Have you ever wondered what an "Autocross" is and what a Corvette Autocrossing is all about? Here's an excellent article discussing the "hows" and "whys" of autocrossing as it pertains to the Corvette. Corvette Motorsports - Europe: Official web site of Corvette's factory-backed racing efforts in Europe. East Coast Supercharging Corvette Challenge : The East Coast Supercharging Corvette Challenge is the premier Drag Racing Series for Corvettes only in the nation. This series consists of race dates (schedule on the web site) where you can bring your Corvette to the "drag strip" to race. You do not have to be experienced to race! Dale Earnhardt, In Memory Of: A visual memorial to Nascar's greatest driver, Dale Earnhardt and his contributions to the Corvette C5R race team at the 24 Hours of Daytona - 2001. Mid-Ohio Corvette Experience: C6-R Corvette Takes on the Competition: The C6-R Corvette takes on the American LeMans series in 2005. 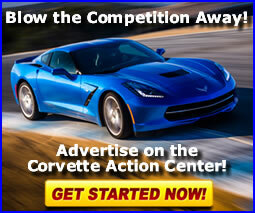 Racetracks & Dragstrips Listing: Looking for a racetrack or dragstrip to bring your Corvette? Check out our online listing of racetracks and dragstrips located across the US, Europe and Canada. Rolex 24 Hours of Daytona - 2001: Take an in-depth look at the Corvette C5R's victorious win at the Rolex 24 Hours of Daytona endurance race! Rolex 24 Hours of Daytona - 2002: Once again, Jim Stevenson has provided us with an excellent, in-depth look at the 2002 24 Hours of Daytona Race. This year, the C5-R did not compete, but several privately owned Corvette race teams did. Let Jim sweep you off your feet, away from your computer and behind the wheel of a Corvette in the heat of the race! West Coast Corvette Challenge: The West Coast Corvette Challenge represents one of the newest endeavors to promote the love of Corvettes and drag racing on the West Coast. There is an ever-growing number of us who own Corvettes of all years and models, and in various configurations from "bone to blown". 2001 Chevrolet Corvette C5R - Factory Campaigned, 6 ALMS Wins Including Sebring and Petit Le Mans: History and details on the 2001 Chevrolet Corvette C5R taken from the EBAY auction listing on 1-19-2011. Teleconference: August 4, 2009: Corvette Racing released information on the GT2 version of the Corvette C6.R race car in a media teleconference today. The following are highlights of the teleconference. The next-generation Corvette C6.R will make its competition debut in the GT2 class at the Mid-Ohio Sports Car Course in the sixth round of the 2009 American Le Mans Series on August 6-8. Johnny O'Connell's Official Web Site: The official web site of Corvette C6-R race car Driver, Johnny O'Connell. Official Corvette Racing Site: Awesome multimedia Corvette racing web site! Pratt & Miller Engineering & Fabrication, Inc.: Official web site of Pratt & Miller, supplier and supporter of the Corvette C6-R.
Ron Fellows' Offical Web Site: The official web site of Corvette C6-R race car Driver, Ron Fellows.